The Eastern Bay of Plenty's first EV fast chargerwas installed in Whakatāne. The EV fast charging station is located near the Visitor Information Centre on Quay Street. With more electric vehicles (EVs) on the roads, Horizon Networks is expanding their charging infrastructure for this growing market. EV fast charging stations coming soon to Ōhope, Murupara and Te Kaha. Together we will build the future of sustainable mobility. The EV fast charging station has been made possible with the support of the Eastern Bay Energy Trust and Whakatane District Council. Not only does this charging station put Whakatane on the New Zealand EV map, it also promotes the use of EVs (which benefits the environment) and encourages those with EVs to visit the District. This initial installation is part of a wider plan to install fast charging stations in key locations around the Eastern Bay of Plenty. For more information about our EV initiative, please click here. PlugShare is a free application for iOS, Android and the internet that allows users to find and review charging stations, and to connect with other electric vehicle owners. PlugShare provides the most accurate and complete public charging map on the internet for New Zealand and the the rest of the world. The live status of our charging station will also be available through the Vector EV Charger App, which can be downloaded for Apple or Andriod phones. As an introductory offer, all EV charging will be free of charge until 31 May 2017. There are a number of factors to consider when installing an EV charging station. Our sister company ElectriServ installed our office chargers (with remote charging monitoring via a phone app) and offers comprehensive electrical services throughout the country, including the Eastern Bay of Plenty. Which means you are covered by local, qualified staff with extensive experience. 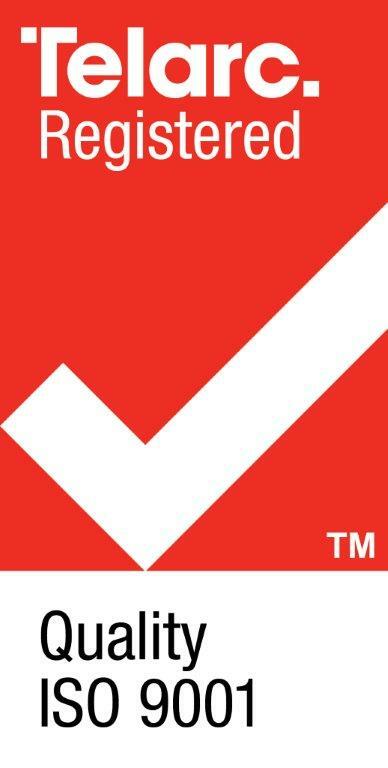 ElectriServ has specialists in electrical design and installation, preventative and reactive maintenance programmes, 24/7 support features, industrial site maintenance and engineering. For more information, please contact Horizon Networks on 0800 HORIZON (467 496). The Government has launched a promotional website to showcase their initiatives around EVs. Please follow the link below to read more about it. 1. Park your EV with the charge socket within reach of the connector, and turn your EV off. 3. Connect the applicable charge connector to the EVs charger socket. 4. On the touch screen, press START. 5. The charger will begin charging the EV and will indicate the progress on the screen. 6. To stop charging, press STOP on the touch screen. 7. Remove the connector from your EV and place it back in the connector holder on the fast charger. 8. Your EV is now charged. - Handle cables and connectors with care. - Do not drop the cables or connectors. - Place the cables and connectors back in their respective holders. 1.1 These terms and conditions govern your use of Horizon Energy Distribution Limited’s EV Charging Stations. By using a Horizon Energy Distribution Limited EV Charging Station, you agree to be bound by these terms, and you also bind the owner of the EVehicle that you are driving and warrant your authority to do so. You or your means the person using the Horizon EV Charging Station. 2.1 No term or condition of this agreement is to be construed adversely to Horizon solely on the ground that Horizon seeks to rely on the term, or that it was responsible for the preparation of this agreement. (c) a reference to a statute or other law includes regulations and other instruments under it and considerations, amendments, re-enactments or replacements of any of them (whether before or after the date you use the Horizon EV Charging Station). 3.1 Horizon may amend these terms and conditions from time to time. Each time you use a Horizon EV Charging Station you agree to be bound by the then current terms and conditions, as published on Horizon’s website. 4.1 On occasion, we may make Horizon EV Charging Stations available for use by you to charge your EVehicle. We reserve the right, at our absolute discretion and at any time, to refuse or suspend access to any or all Horizon EV Charging Stations to any person (including but not limited to any person found in breach of these terms and conditions). 4.2 We do not guarantee, and are under no obligation to ensure, the availability, or compatibility of any Horizon EV Charging Station with your EVehicle, or the performance of Horizon EV Charging Stations. We reserve the right, in our absolute discretion, to control the electricity supply to, or the output (if any) of, Horizon EV Charging Stations at our convenience. 4.3 We will use reasonable endeavours to keep Horizon EV Charging Stations free from any faults, errors or defects. If there are any faults, errors or defects, or you have any issue with any Horizon EV Charging Station, please contact us. You can call our Customer Services Team on 0800 HORIZON (0800 467 496). 5.1 Your use of a Horizon EV Charging Station must be fair, reasonable and not excessive. We reserve the right (without limiting clause 4 above), to immediately suspend, modify or restrict your access to any or all Horizon EV Charging Stations, if we consider your use to be in breach of this clause 5.1. 5.2 If your EVehicle is compatible with Horizon EV Charging Stations, you agree to use, or attempt to use Horizon EV Charging Stations only to charge your EVehicle. 5.3 If your EVehicle is not compatible with Horizon EV Charging Stations, you agree that you will not use or attempt to use Horizon EV Charging Stations to charge your EVehicle. 5.4 If your use of a Horizon EV Charging Station is for the purposes of a business, you agree that, to the maximum extent permitted by law, the Consumer Guarantees Act 1993 does not apply. (b) take reasonable care that your acts or omissions do not adversely affect the health and safety of others; and (c) comply, as far as you are reasonably able to, with any reasonable instruction that is given by Horizon. Any reasonable instruction includes, but is not limited to, the relevant EVehicle manufacturer’s handbook and any instructions for use which are set out at Horizon’s EV Charging Stations and on our website (which may be amended by Horizon from time to time). (c) the EVehicle does not present any danger or risk to other vehicles or persons or the Horizon EV Charging Stations. (b) you have authority to bind the owner to these terms and conditions. 6.4 You acknowledge that we are not supervising your use of the Horizon EV Charging Stations and that you are undertaking such use at your own risk. 6.5 You acknowledge that where Horizon EV Charging Stations are located on private property, you agree to keep that property clean and tidy, and to comply with all reasonable requests of the owner of that property provided from time to time when using the relevant Horizon EV Charging Stations. 7.1 In using the Horizon EV Charging Stations, you may provide certain personal information to Horizon and you agree that any information collected by Horizon may be accessed or collected for use by Horizon or any of its related companies in the course of its business (including direct marketing activities), for the purpose of facilitating the administration of the Horizon EV Charging Stations or promoting products to you that Horizon reasonably believes that you may be interested in. 7.2 We acknowledge that you have the right under the Privacy Act 1993 to have access to personal information held by Horizon about you and to request correction of that personal information. Horizon will comply with its obligations under the Privacy Act 1993 with respect to such information. 8.1 Subject to clause 5, nothing in these terms and conditions shall affect or limit any rights that you may have under the Consumer Guarantees Act 1993 and/or the Fair Trading Act 1986. 8.2 This agreement constitutes the entire agreement between you and Horizon in respect of the Horizon EV Charging Stations. (c) for any other reason, other than as set out at clause 8.4. (b) the wilful breach of Horizon of any of its obligations under these terms and conditions. 8.5 Loss or damage referred to in clause 8.4 must be reasonably foreseeable, and not be caused by something beyond Horizon’s control (including, for the avoidance of doubt, any act or omission of any third party, any force majeure event or any breach by you of these terms and conditions). 8.6 Where Horizon is liable for loss or damage to you or your EVehicle under these terms and conditions, Horizon’s maximum liability to you for any single event or series of related events will be limited to $10,000. 8.7 To the maximum extent permitted by law, Horizon will not be liable to you for any other loss or damage arising (whether direct or indirect, special or consequential, pecuniary or non-pecuniary, and whether arising in tort (including negligence) or contract or otherwise) as a result of, or in connection with, your use of a Horizon EV Charging Station or these terms and conditions. (a) the relevant EVehicle manufacturer's handbook. (c) your obligations under the Health and Safety at Work Act 2015 or associated regulations. 9.1 This agreement is governed by and must be construed in accordance with the laws of New Zealand. You and Horizon submit to the exclusive jurisdiction of the courts of New Zealand to resolve any disputes arising under or in relation to its subject matter or your use of any Horizon EV Charging Station. This connector is recommended for the connection of the supply cable to the charging station when using untethered cables. This connector has become widely used across Europe. - Used European EVs including BMW, Audi, VW and Mercedes. - New Zealand new Renault Zoe and Kangoo Z.E. - Tesla cars imported from UK or Australia. This connector is used for DC charging in Japan and is currently the most common connector used for DC charging in New Zealand. It is also used in the US and in Europe. - Nissan Leaf (including imports). 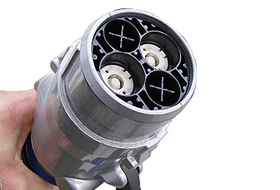 Tesla cars imported from UK or Australia have a Type 2 inlet but can use a CHAdeMo connector using a Tesla-supplied accessory. 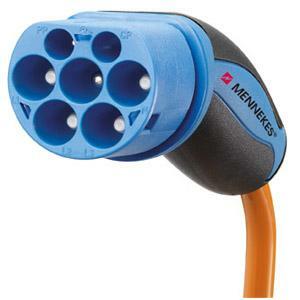 This is a fast DC charging connector used extensively across Europe. 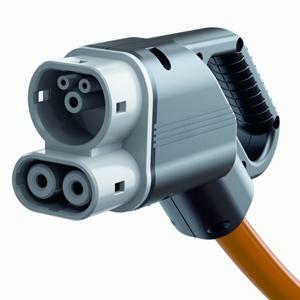 The industry in New Zealand is adopting this connector, alongside the CHAdeMo, for fast (and possibly slow) DC charging. What kind of EVs can be charged at this fast charging station? Any plug-in EV that has Type 2-AC, CHAdeMO or CCS. Please note that not all EVs are capable of DC fast charging. What happens if I can't take the connector out of my electric vehicle (EV)? Some EVs lock the connector. If this happens, you need to unlock all the doors of the EV, or use the "unlock charge connector" button on the car key, if present. How much does a charging session cost? As an introductory offer, charging will be free of charge until 31 May 2017. After that date, the rates will be displayed on the charging station. How long will each charging session take? It depends on the EV. On average, charging take 15 - 25 minutes. Can I use the charger if it is wet or if it is raining? The chargers are designed for use in wet and rainy conditions. Your EV is also designed to safely charge even if the charger you connect to is wet. Can two vehicles charge at once? Yes, provided one vehicle uses the AC socket and the other vehicle uses one of the DC leads (CHAdeMO or CCS). Both of the DC leads (CHAdeMO and CCS) cannot be used at the same time. Who do I call if I have a problem with or damage the rapid charger? If a charger outlet is damaged, do not use the damaged outlet. We would appreciate it if you could us as know by calling 0800 467 496 so that we can get our team out to repair it. In an emergency, push the EMERGENCY STOP button. The charger will stop operation and will display an appropriate message. What if the emergency stop button is accidently pushed? Check that the situation is safe, i.e. that the emergency stop button was accidentally pushed. Turn the emergency button clockwise. The emergeny button will release and the charger will be reactivated. After a few seconds, the message will disappear from the screen and the charger will return to normal operation. Let’s get you connected! Horizon Networks supplies electricity to all types of property in the Eastern Bay of Plenty. Apply now to install Distributed Generation equipment on our network for solar or wind generation.